Andrew Lownie Literary Agency :: Book :: Mr Five Per Cent: : the many lives of Calouste Gulbenkian, the world's richest man. Mr Five Per Cent: : the many lives of Calouste Gulbenkian, the world's richest man. At his death in 1955 Calouste Gulbenkian was one of the richest men in the world, known as "Mr Five Percent" on account of his personal holding of 5% of Middle East oil production. His fortune and art collection are now held by the Gulbenkian Foundation, one of the world's wealthiest philanthropies. The companies he helped to create - Royal Dutch-Shell and Total - count among today's oil "supermajors," and the international oil agreements he brokered continue to shape the economic and political fortunes of Iraq, Venezuela and other oil-producing countries across the globe. Gulbenkian's media-shy persona and preference for back-room deals lent him an aura of mystery which continues to this day. Though acknowledged as one of the heroes of the international story of oil by historians such as Daniel Yergin (author of "The Prize: The Epic Quest for Oil, Money and Power"), Gulbenkian's story has yet to be told. Given unprecedented and exclusive access to over 600 meters of Gulbenkian's private correspondence, Jonathan Conlin pieces together the story of this remarkable Armenian deal-maker and business architect for the first time. Conlin shows how Gulbenkian built a fortune as the spider at the centre of an international web of oil, diplomacy and high finance. Gulbenkian's success as "honest broker" between rival oil companies and between oil companies and heads of oil-producing states was founded on a life of constant movement and shape-shifting. Holder of four passports and diplomat to two Empires (Ottoman and Persian), nobody quite know where Gulbenkian's true loyalties lay. "Black gold" may have brought him fabulous wealth, but Gulbenkian recognized the truth of an old Persian proverb: "Oil burns the hands." Alongside "Mr Five Percent" we also encounter the jealous husband, domineering father and doting grandfather. We count the costs of Gulbenkian's ceaseless activity on those whose interests he sought to serve and protect, as well as on the Foundation he hoped would provide a lasting legacy. "No previous book about him comes close to matching Jonathan Conlin's...Conlin is a calm, lucid, fair-minded writer who resists every temptation to cheap sensation or glib judgement...He does Gulbenkian proud." "riveting life…the main interest of this clear-sighted biography is in its exploration of what this level of wealth does to a man, and the people around him…This is an excellent book, guiding us with a sure hand and a lucid talent for exposition through the very dfiferent worlds of connoisseurship, family trauma and the making of millions." "Meticulous...as well as compellingly tracing his professional dealings, Mr Conlin’s book evokes Gulbenkian’s dysfunctional family. " "Does a fine job of digging beneath the legend." Simplified Chinese in Jonathan Conlin’s Mr Five Per Cent: the many lives of Calouste Gulbenkian, the world’s richest man. German rights in Andy Donaldson’s Dreadful Estate Agent Photos. Russian rights in Jeremy Dronfield’s The Boy Who Followed His Father into Auschwitz. Czech rights in Adrian Gilbert’s Waffen SS: A Military History. Jonathan Conlin’s Mr Five Per Cent: : the many lives of Calouste Gulbenkian, the world’s richest man is no 1 in the Portuguese best seller list this week. 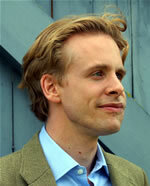 Jeremy Dronfield’s The Boy Who Followed His Father into Auschwitz is also in the Top Ten. 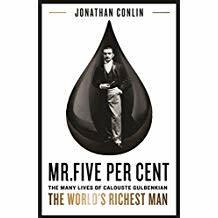 Congratulations to Jonathan Conlin whose Mr Five Per Cent: : the many lives of Calouste Gulbenkian, the world’s richest man is no 3 in the Evening Standard’s London’s Bestsellers. Portuguese rights in Jonathan Conlin’s Mr Five Per Cent: : the many lives of Calouste Gulbenkian, the world’s richest man. Turkish rights in Cathy Glass’s Happy Adults and Happy Kids. Profile have bought World English and Portuguese rights in Oil Burns the Hands: The Life and Times of Calouste Gulbenkian , a biography of the businessman and philanthropist by Jon Conlin.